Don Quixote might mistake the windmill called Mulino a Vento as a “giant,” standing on top of the ridge, with arms outstretched over the valley below, ready to do battle with any approaching foe. It surely must be a giant, right, because there aren’t any windmills in Tuscany? Everybody knows that! Right? Well, “everybody” is mistaken. When we happened upon it the other day, we couldn’t help but tilt our camera a few times to capture proof for those of you who might be interested in a little magic and Tuscan folklore. 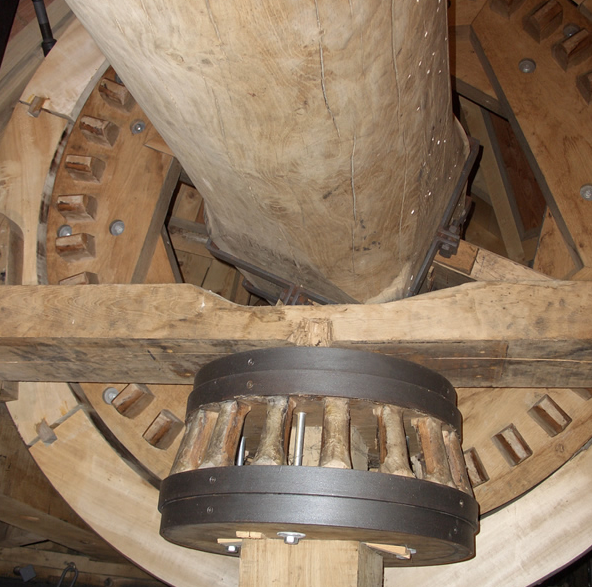 An 18th century work of art, the lone mulino, mill has been completely restored and still produces flour just like it did centuries ago. The only working windmill in Tuscany, it towers over the picturesque vineyards of Rufina, gathering gentle breezes to power the massive millstones inside. The artisans of the time really knew their craft, making the intricate gears from different types of wood, depending on the work to be done. Ingenious! Green technology is really nothing new. There’s also a great restaurant across the quiet country road by the same name as the Mill. drift off into a giant dream! 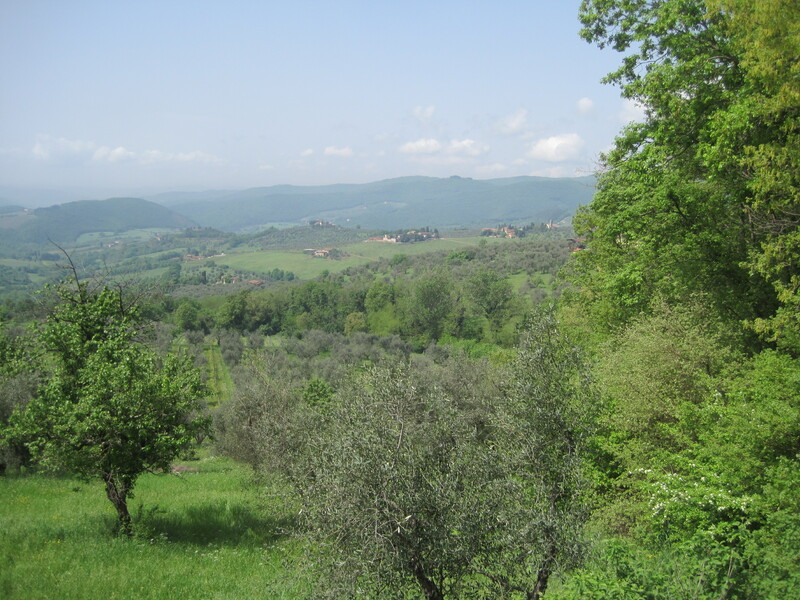 One sunny spring morning, you too might consider walking the sentiero, trail from the historic town of Santa Brigida, just outside of Florence. 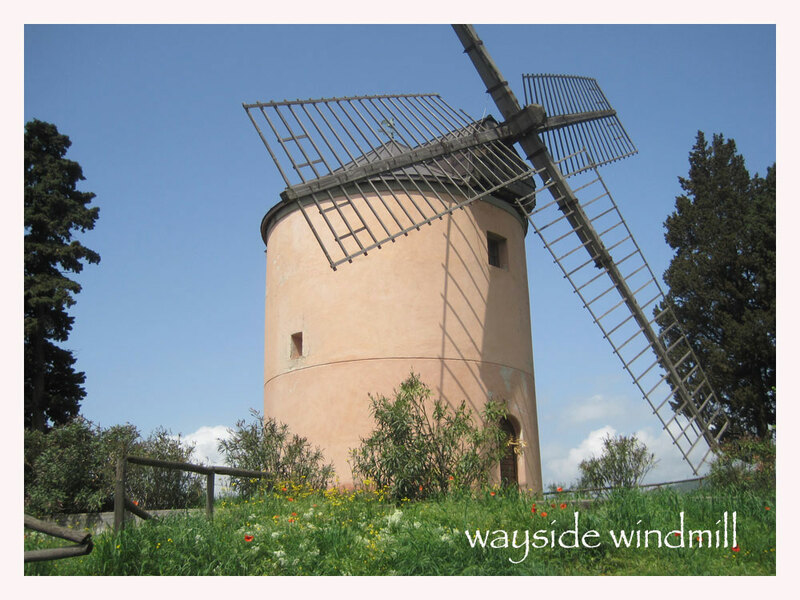 Wander through cypress woods, vineyards and olive groves to visit the fascinating windmill on the hill. Maybe even have lunch at Ristorante Mulino a Vento. Then sit for a spell in the sling chairs overlooking the distant villa, serenaded by the chorus of songbirds nearby. Let yourself drift slowly into sleep. Soon . . . you will be dreaming about a quiet life in Tuscany, intoxicated by the warmth of the sun and the fragrance of spring. Perhaps you might even decide to throw caution to the wind, and stay longer than you planned—safe in the protective, outstretched arms of the hilltop’s gentle giant. Next Post: Hats Off to the Helpers!